This victory is the culmination of months of community effort, led by the BHA, to urge the legislature to enact a measure whose passage failed during the past two years. 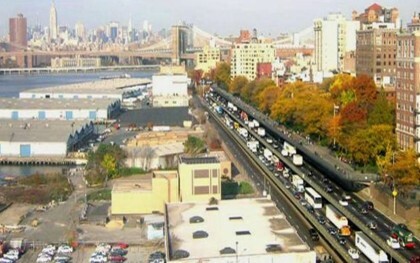 Had it not passed now, DOT would have proceeded with a Design-Bid-Build approach, which would have cost $113 million more to complete the BQE project and led to trucks being diverted onto local Brooklyn streets in 2026 due to the extended project timeframe. The BHA thanked State Senator Brian Kavanagh and Assembly Member Jo Anne Simon (whose office also advised us of the approval) for their efforts to secure passage, along with Governor Cuomo for his support. It also expressed gratitude to the local residents who demonstrated their support. In related news, the BHA has announced that it will not appeal the New York Supreme Court’s decision to allow construction of the two residential towers near Pier Six in Brooklyn Bridge Park.